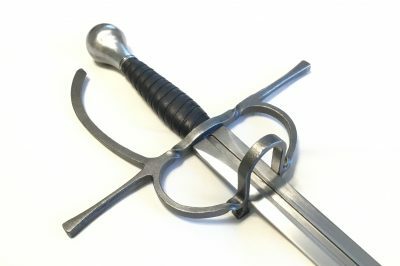 “Sideswords” is a modern term that covers a wide range of cut-and-thrust capable swords that, generally speaking, have some form of complex hilt, are a bit longer than arming swords but not as long as rapiers tend to be, and have two-edged blades that are typically narrower than arming swords but wider than most rapiers. 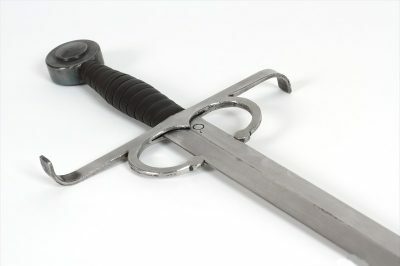 This makes for a rather varied range of swords from across Europe that include anything from a one-handed sword with a simple knuckle-bow to ornate swept hilts and more. 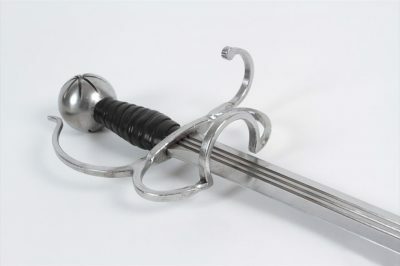 Regenyei sideswords are some of the most sought after and trusted swords for HEMA fencing today with folks from other groups (such as the SCA) now discovering them and realizing their value, balance, and durability. 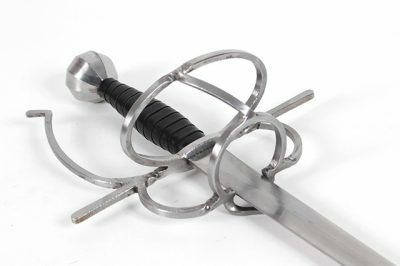 Most of the Regenyei sidesword models available now focus on the Italian schools of fencing but more models are under development and will be available here when they are ready. 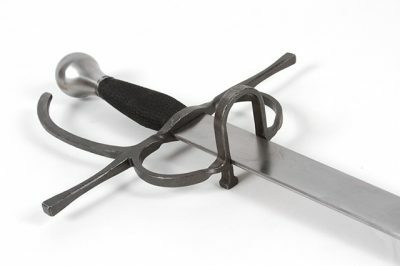 The Full Contact Sidesword is Regenyei’s economy line known for it’s durability and fantastic balance. If you’re looking for something a bit more nuanced and detailed then be sure to consider the Italian School line as there are some great options there no matter your particular style of fencing. 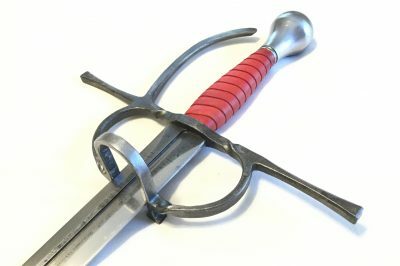 Custom sideswords are also available by selecting the the Custom Order option below or using the Order Inquiry Form located at the bottom of each product page. We always reply to your inquiries!